A lot of the work of the reflection is done through the C# script. The script creates a new game object with the sprite renderer of the original object, mirrors it, and puts our water reflection shader on it. You can see it below. A couple things to note with this technique. First, everything done in this script could be done manually through the editor. It is only for convenience and does not have to be done at run time. You might want to add [ExecuteInEditMode] to this script if you plan on using it. Second, this is kind of a crude way of doing things. Animations, lighting, or anything else that effect your sprite will not get reflected. For animations you could use the script to copy the animator. Then use it as a wrapper for your animator to keep the two animators in sync. That is what I do in the gif below. But if you have a lot going on this could get messy quick. For any more advance scenarios you may be better off using multiple cameras and render textures. Now the sprite is reflected but it will always be there. Independent of water. To make the reflection only show up on water we will use the stencil buffer, We will have to make two separate shaders to do this. This water surface shader and the reflection shader. Both of these shaders will be based off the default unity sprite shader. Any thing that you want the reflection to show up on should use the surface shader. Any thing that you want to show up as a reflection should use the reflection shader. The stencil buffer basically sets a flag when the water surface shader passes. Then when the reflection shader passes it throws out all pixels that don't have the flag set. Resulting in reflections only on top of water. The stencil buffer is a little more complex than that but that is all we need to know for this effect. Finally since the water reflection shader uses the default unity sprite shader we can lower the alpha a bit in the editor to blend it better. Reflection complete! The distortion effect is done completely through the reflection shader. The basic idea is that we sample from different positions of a distortion texture over time to displace the pixels in our sprite texture. 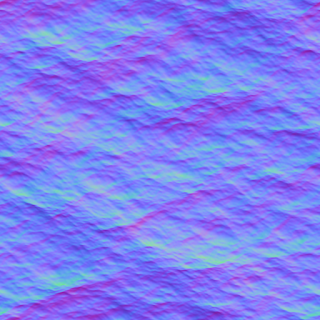 The distortion texture could be any thing but since it is a water effect a water normal map works well. In our reflection shader we will add properties for our distortion texture, the scroll speed, and the magnitude of the effect. We will also want to get world pos in our vertex shader. We will use this for the position to sample our distortion texture so that it will move as the game object does. Finally, in our fragment shader we will sample from the distortion texture and use it to displace pixels in our sprites texture. Hey, can I email you on how to get this working? Hi! This is pretty cool and almost exactly what I was looking for; any chance you could clue me in how make the distortion snap to pixel int locations? I've been trying for days and may have been on the right path somewhere along the way but at this point I'm pulling my hair out. Thanks for this regardless! Its been awhile since I looked at this but, my initial solution would be the following. In the fragment shader we are using "IN.worldPos.xy * .1" I think we want to get rid of the point 1 part and round the x and y values of worldPos to ints. Hopefully that does the trick. I made a chromatic aberration shader after not finding one I liked online. You can see the effect above on the sprite bottle to the right. My goal was to make a stylized chromatic aberration effect that I could apply to any sprite. A lot of games use Perlin Noise to generate maps, so I decided I would give it a try. One of the most popular games to do this is Minecraft which uses a similar noise function to create its map. The basic premise is that you use the noise to create a height map on a 2d grid. Every point on a grid is assigned a random value and that value is its height. If you where to just use a normal random number function to assign the values they would be all over the place. It wouldn't make any natural looking shapes. That is why Perlin Noise is used. It creates smooth gradients between random points. This make the height changes less jarring and look natural. Unity already has a Perlin noise function so I did not have to implement my own. All I did at first was make a 2d array and assign each index a height value. Every height above a cutoff is land and everything below is water, this is the result.